Weather's beginning to get a little chilly outside but not with your Official Oklahoma City Thunder gloves and mittens. 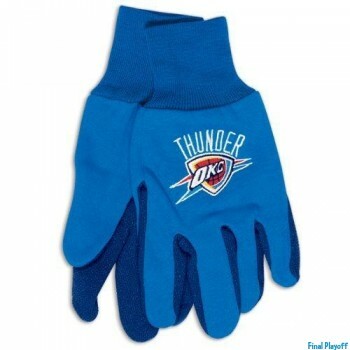 Checkout our Oklahoma City Thunder gloves catalog for your favorite styles and needs for outdoor play or work. Planning on being outdoors at a stadium or event? then grab yourself a pair of Oklahoma City Thunder mittens because its a great way to keep your hands warm and toasty yet flaunting your team spirit with fashion.